The annual fundraiser for the Kitchener-Waterloo Art Gallery, presented by CIBC Private Wealth Management & CIBC Wood Gundy - Allan Bush. Black and Gold is the Kitchener-Waterloo Art Gallery’s biggest fundraising event of the year. Did you know that the Gallery raises 50% of its operating budget through fundraising, individual donors, earned income and sponsorship? This event contributes $55 000 a year to exhibitions, education and public programming. We are thrilled to welcome CIBC Private Wealth Management and CIBC Wood Gundy – Allan Bush as title sponsors of this year’s event. “CIBC Private Wealth Management is very pleased to support Black & Gold and the incredible programming and exhibitions of the Kitchener-Waterloo Art Gallery. We believe that our region benefits immensely from the Gallery and that art is vital to a vibrant community,” said Allan Bush, First Vice President & Investment Advisor with CIBC Wood Gundy. The Kitchener-Waterloo Art Gallery (KWAG) is Waterloo Region’s leading public art gallery. Our mission is connecting people and ideas through art; we achieve this through first-rate exhibitions by national and international artists and by making art accessible for all ages and all segments of society. Thanks to generous corporate support from Sun Life Financial, admission to the Gallery is free. KWAG is a registered charity (#107579674RR0001) and not-for-profit organization that has been serving the community for sixty years. Thank you for your support - we look forward to welcoming you to next year's event! We've partnered with Givergy, an award-winning fundraising platform, to offer a fully digital silent auction experience for Black & Gold 2017. Guests at this year's event are invited to go mobile and place their bids using their smartphones or one of our complimentary tablets while still making the most of their evening! Beautiful works of art are the celebrated centrepieces of our annual fundraising auction - we are especially grateful to the many local and regional artists who have generously donated their work for this year's auction. Explore this year's gallery of works available for auction in our Black & Gold Artist Showcase. We're honoured to welcome Robin Mazumder to Black & Gold as this year's Master of Ceremonies. Robin is a Vanier scholar and doctoral candidate at the University of Waterloo where he is studying the psychological impacts of urban design. His research is inspired by his passion for urbanism as well as his front line experience working as an occupational therapist in mental health. As an impassioned advocate for inclusive urban design, his commitment to community building shines through all his work, which includes developing inclusive programming for youth with disabilities and consulting on issues related to health, wellness and poverty in cities across Canada. 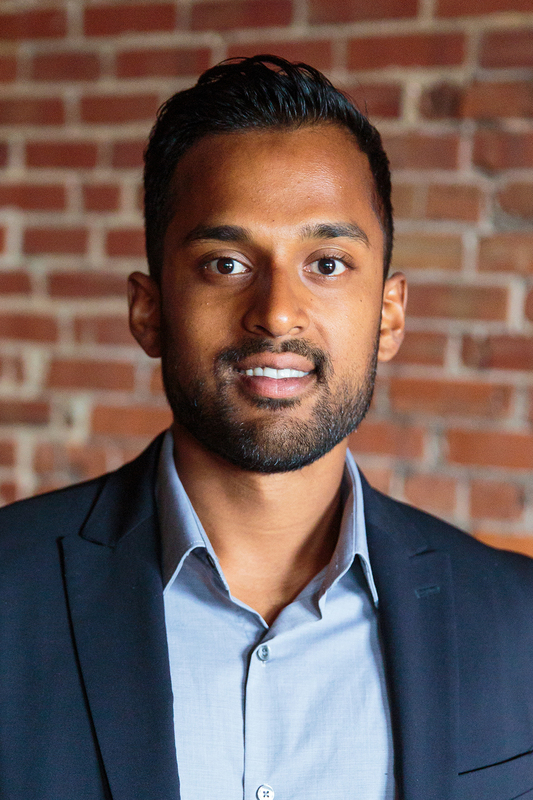 Learn more about Robin Mazumder. The leader and founder of the Royal City Saxophone Quartet, Ernie Halwa is a graduate of the University of Waterloo in Mathematics and Music. A native of Peterborough, Ernie now calls Elora home. He played his first professional gig at age 14, and has been active in dance bands, concert bands, Dixieland, R&B, and saxophone quartets ever since. 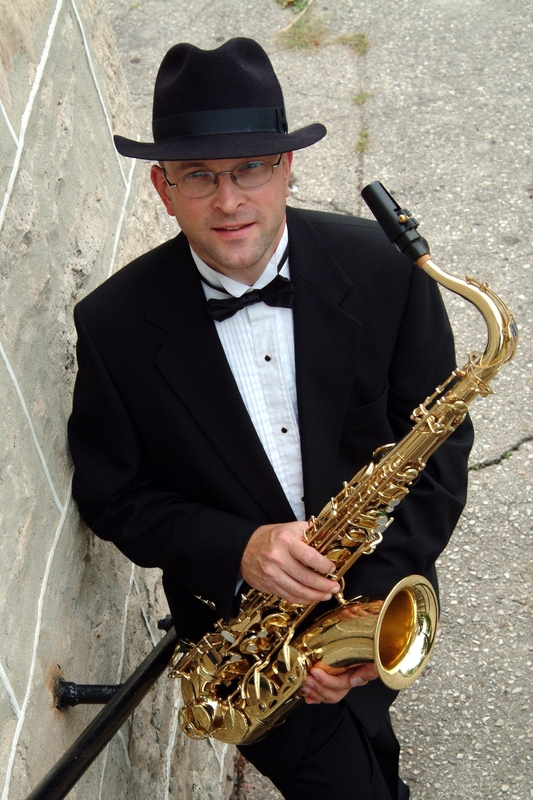 He studied saxophone at Humber College with Pat LaBarbera, and later in North Carolina with James Houlik, and has played in numerous bands and traveled to many jazz events and festivals throughout the United States and Canada. His many influences include Zoot Sims, Stan Getz, Sonny Stitt, and Hank Mobley.